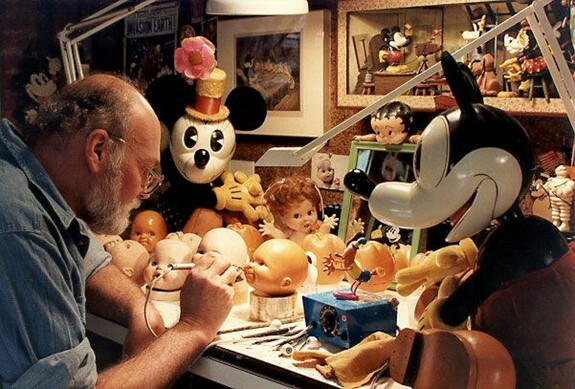 In the many years of Mel Birnkrant's career as a toy maker, besides our beloved Baby Face dolls, for which he will be forever most known, there are hundreds of dolls and toys that he designed. Some very well known, others less so and many others that never went beyond the design stages. Some of the unknowns were unsold and others were actually bought by toy companies, with the intent of manufacturing them, but for one reason or another plans were dropped before that happened, so they never saw the light of day. Until now, that is. Here we are featuring some of Mel's designs that actually did make it to the toy store shelves. We have chosen the ones that Baby Face collectors are most drawn to and some of us also collect, such as Babblin Babies, Cuddle On Delivery, Fuzzy Buzzies, Lil Babies, Magic Diaper Babies and Oodles. To hear about some of the dolls that didn't make it and to see how they all fit in to the flow of Mel's doll designs, see Mel's Dollevolution. For example there are the Hug and Hold and Mop Top/Best Friends dolls. These dolls although they did not make it definitely have their place in the evolution of Mel's doll designs, as you will see. We have included pictures and also Mel's presentation videos of these dolls. Mel's Dollevolution starts with the Oodles and ends up in present day with the Playalong Club. If you are interested in seeing some of Mel's many other creations, he has been posting some videos on his YouTube Channel and he also has a website about the toys that he himslelf collects and are a source of inspriation to him in creating his own designs over the years.